On one of my very many recent trips to Debenhams I caved in and decided to FINALLY purchase the famous Too Faced Natural Eyes Eyeshadow Palette as I've been eyeing (see what I did there haha) this hugely raved about palette for ages.....debating wether to get it or not. The whole palette itself is extremely beautiful and is the dream palette for an effortless look, the colour range on this palette is incredible too, I particularly love Silk Teddy, Push-Up & Honey Pot which are all very pretty shimmery shades. There are 4 matte shades & 5 shimmer shades which I'd wear a lot. Everything about this palette is literally impeccable the shimmer shades are SO easy to blend & are very creamy, yet the matte shades just give this overall palette and any look that you want, the perfect ounce of a soft velvety focus. Every shade compliments each other, they all apply so easily and you can literally apply, smudge, blend & bang they will last all day & looks flawless. The pigmentation of Too Faced eyeshadows is absolutely uh-ma-zing, like I said they stay put all day until you take the day's face away. It's honestly such a nifty lil palette. Heaven is perfect for the inner corner of the eye and as a brow highlight, Cashmere Bunny is perfect in the crease......literally everything about this palette is perfection. This is one palette that for me ticks every box, you can create SO many looks and it's the perfect palette for all year round, there is not a shade in this palette that I don't like or won't use, I think it's such a gorgeous palette that everyone should own it's honestly up there with some of my favourites. 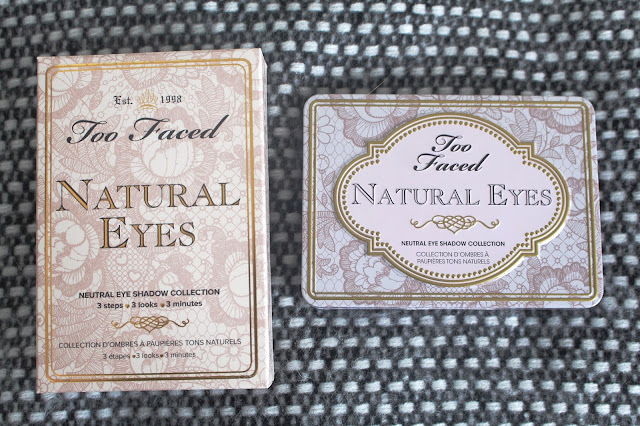 At £32 for 9 eyeshadows I can understand that some people might deem it to be on the expensive side of things but for me I flipping love it, the packaging is adorable, the colours are beautiful & all in all Too Faced absolutely know how to create the perfect palette, everything about the Natural Eyes Palette is perfect it really is a must have in my opinion. Since purchasing it I've just not put it down because it's that good and I absolutely LOVE it & I've been using it pretty much every day. 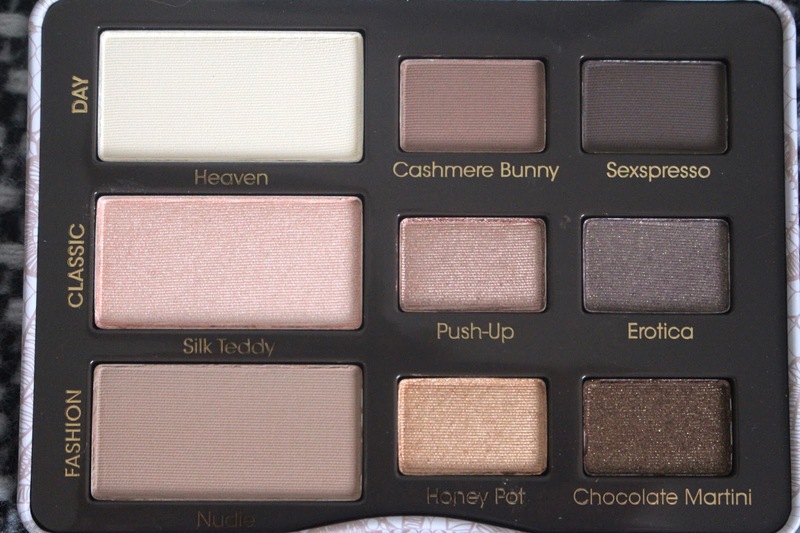 Do you have this Palette? IF NOT YOU NEEEEEEEDDD IT trust me. 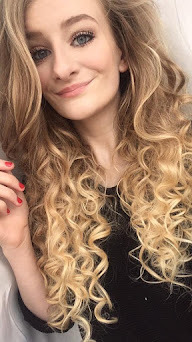 Putting on makeup is a lot of fun and having the freedom to create whatever kind of look you want is amazing too but one thing that I look forward more than anything is removing the days face, getting rid of any trace of makeup and then letting my skin have a little refresh with moisturisers, serums & all sorts. I wanted to share with you two cleansers that I've been loving and in my opinion are the best on the market. I've of course picked one that's highstreet friendly and budget friendly & one that's more for you if you've got a bit extra moolah to spend. Both of which do a fantastic job however are both very different in their very own unique way. 9 To 5 is one UH-MA-ZING budget friendly and affordable cleanser on the highstreet, packed with Ylang Ylang Oil & Fresh Dove Orchid it leaves my skin feeling super soft and nourished whilst also gliding the days face off just nicely. I LOVE this cleanser it's a liquid lotion so It's very easy to just pore a little out and then massage straight onto dry skin, it smells lovely & literally makes my skin feel super clean and refreshed, I like to double cleanse so I use this once and then again one cleanse removes my makeup and the other leaves it feeling super clean and that way I know everything's off. Honestly if you are after a really good cleanser that's under £10 this is for you.....it's cheap, friendly and does the job. 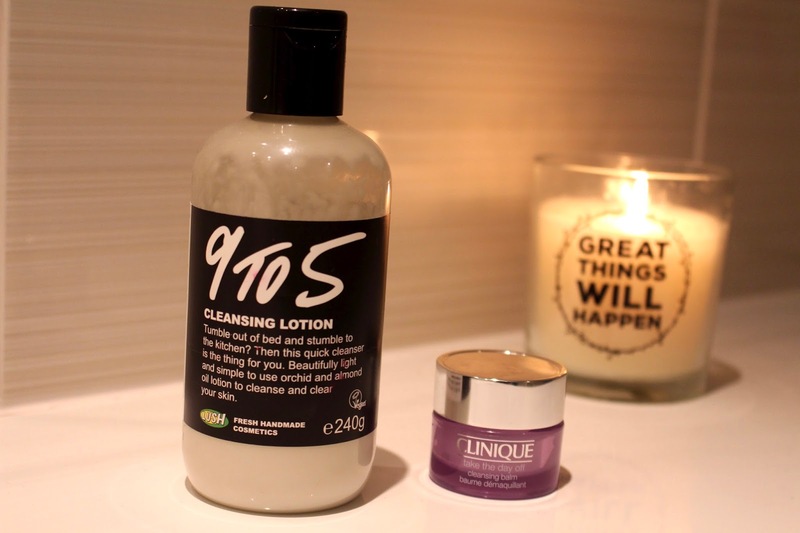 I'm not a fan of Lush's Ultrabland cream (more a balm if you ask me) cleanser as I just find it way too heavy, 9 to 5 is perfect if you want something light yet super effective. I've also been thoroughly enjoying the Clinique Take The Day Away Cleansing Balm, I like both liquid and balm cleansing lotions and this ticks every box, it glides my makeup off like an absolute dream yet leaves it feeling squeaky clean, I would compare this to the famous Emma Hardie Cleansing Balm which every blogger I've ever known has raved about. The Clinique Balm is very soft and gentle to the skin, simply add droplets of water and it will turn to a foam like soap paste, I literally massage this all over my face it's honestly SO good it even removes waterproof mascara, I just grab a hot cloth and it all pulls right away from my face. Even though this is slightly more pricey it is really worth it, and come on who doesn't love a bit of Clinique once in a while. Both of these are really good and I love alternating between the two of them, 9-5 is affordable and perfect for anyone on a bank friendly budget. Clinque's cleanser is still lovely even though it's slightly more expensive. 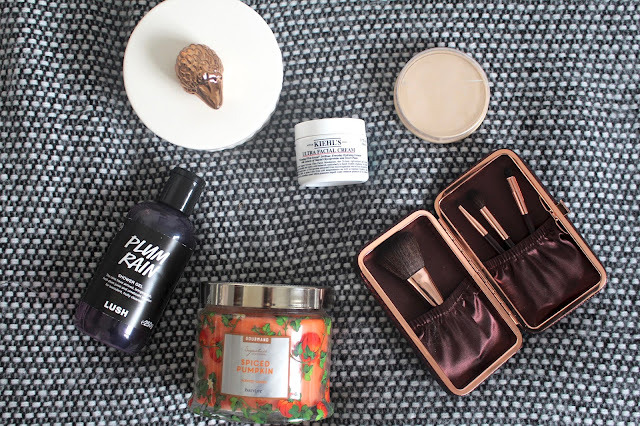 If there is one thing I love it's a monthly favourites post, so today I wanted to share with you the things I loved throughout November. 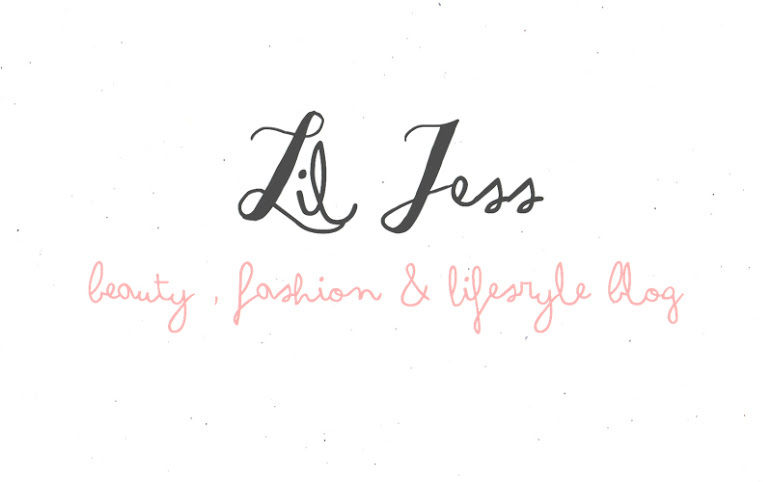 So buckle up your seat belts for lots of beauty, makeup & of course random favourites. The first thing I loved using in November is the Lush Plum Rain Shower Gel. Plum Rain is a Lush Oxford Street Exclusive product & oooohhh my goodness it smells SO good! I've become obsessed with this shower gel so much so that I used it practically every day throughout November, it's a like a blackcurrant meets plum sweet scent, it's honestly gorgeous, it's packed with Fresh Plum Juice & Sicilian Mandarin Oil along with Umeboshi Infusion. My momma very kindly picked this shower gel up for me when she visited London a couple of weeks back & I've just become obsessed with it. If you can get your hands on this shower gel then I'm very jealous of you hahaha. 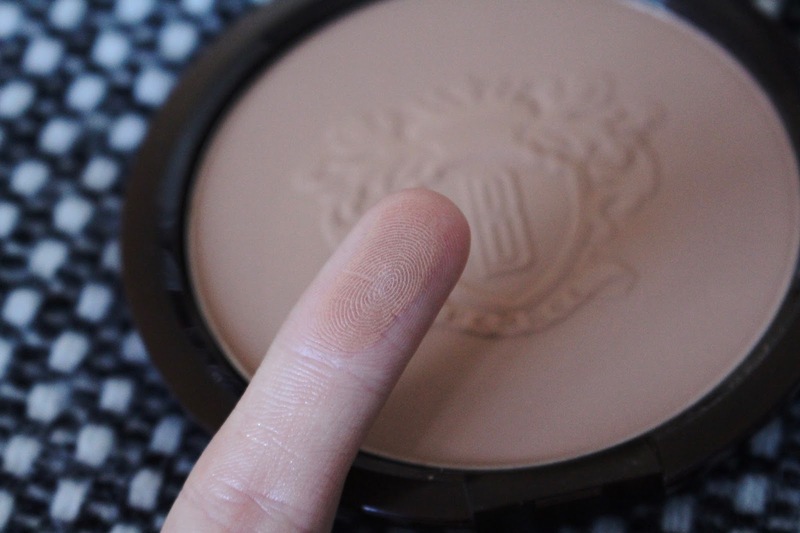 One product that I've been impressed with throughout November was the Rimmel London Stay Matte Powder in 001 Transparent. 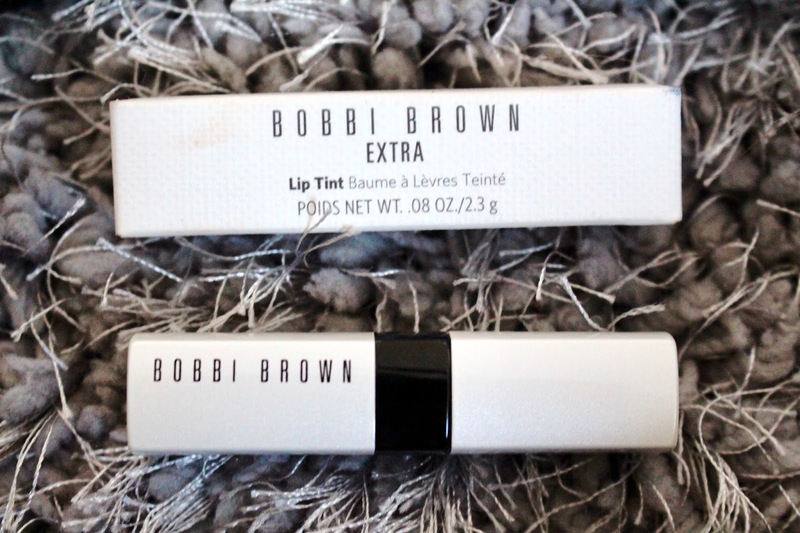 I was recommended this by my friend Megan (hey meg if you're reading this) who said how amazing it was and that I'd love it, so with this in mind I purchased it to give it a whirl and it's honestly fantastic, it lasts all day and my concealer lasts twice as long when I use this, it's long lasting and doesn't leave an orangey tone on my pale peach skin, I really love how a little bit of this product goes such a long way. If you after a new setting powder that's budget friendly I'd recommend this one, seriously check it out. 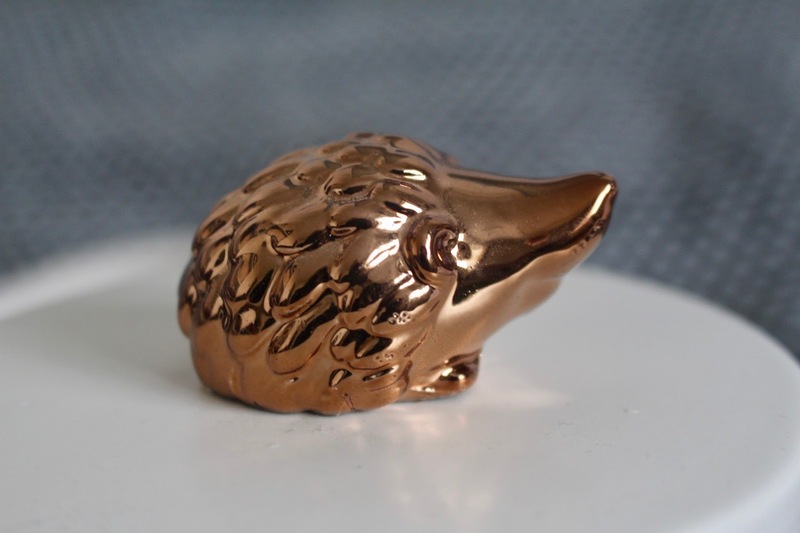 Random thing alert....I was casual walking through homesense (as per usual) and came across this adorable little ceramic dish that had a copper/rose gold hedgehog on the top & it's just the cutest. I thought I'd include it in my November favourites as I practically used this everyday in november as I keep all my hair bobbles and bobby pins inside it. LOOK HOW CUUUTTEEEEE!!!! It's part of the Autumn/Winter homeware accessories collection Homesense do. This little beauty only cost me £5 as well #bargain. Kiehl's is one brand that I always turn to whether it be for an eye cream or a skincare staple. In November I purchased the Kiehl's Ultra Facial Cream & completely fell in love with it, I've done a proper in depth review of it here so I won't ramble but it's hydrating, moisturising & my makeup looks so much better when I use this, it's honestly such a good base for any makeup look, gives all day hydration & again it's one product that I just can't stop using because it's that good. What's a favourites post without a candle? 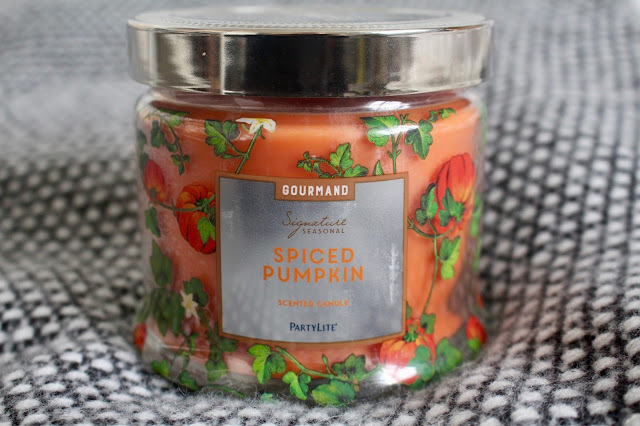 I've become obsessed with one particular brand called Partylight who create the most beautiful candles at extremely good prices, one I've fallen head over heels in love with is their Spiced Pumpkin Candle which was one of their autumn seasonal candles.....now this honestly smells like sweet pumpkin pie/ autumn & gingerbread. It has three wicks and burns really nicely. It's honestly one of my new favourite candles! & you guys know how much I love a good candle. It's got the most prettiest packaging too. 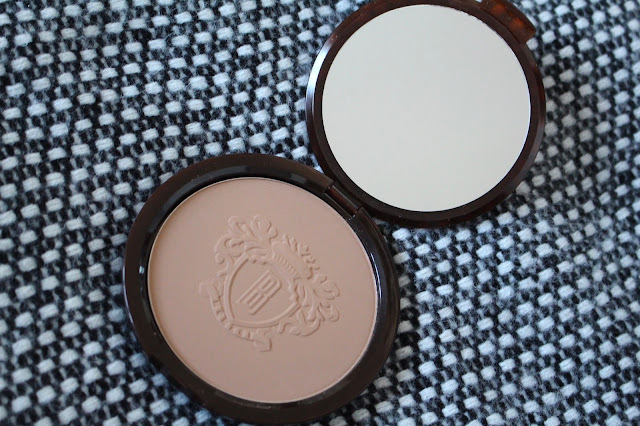 The final thing I loved using in November is my Mini Charlotte Tilbury Brushes. I bought this little kit a couple of weeks back and I've just taken it with me everywhere I go, the brushes are such good quality too, really fluffy and my makeup goes on like a dream when I use these, they come in a perfect case that I then slot nicely somewhere in my handbag, this little set is honestly perfect for little makeup touch ups throughout the day. 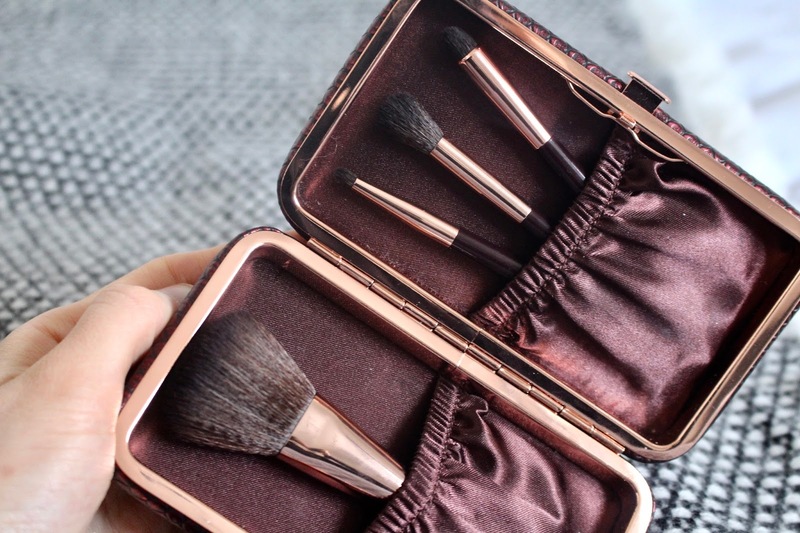 If you are after some new makeup brushes for Christmas or are looking for something travel friendly yet extremely good quality I'd suggest you look no further than these bad boys. 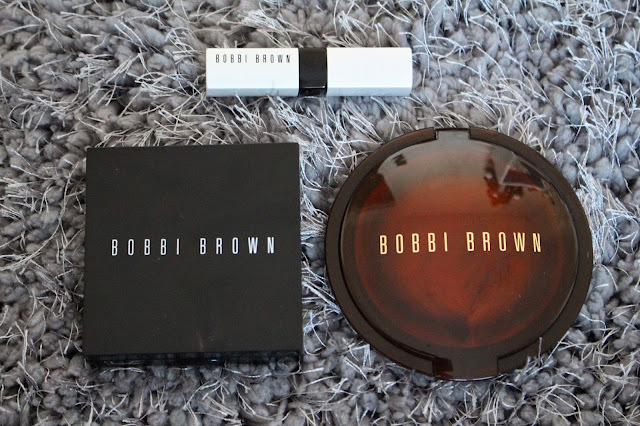 Although pricey they are completely gorgeous and perfect for on the go makeup. And that is everything that I've loved throughout November. What did you love in November? We are all well and truly into the glorious month that is December, so with this in mind and the weather getting colder, the evenings getting darker and the whole world beginning to be more christmasy I felt like it was time to give a new moisturiser a try and swap my trusty Clinique Moisture Surge for a lil something different....I decided I'd stick with one of my many favourite brands and let you all know how I got on....SO I bought the Kiehl's Ultra Facial Cream around about 2 weeks ago now and wanted to give myself enough time in using it for me to then do a 'proper' review. I LOVE Kiehl's both as a brand and of course their products, one of my all time favourites is the creamy avocado eye treatment it's honestly the best! The Kiehl's Ultra Facial Cream is quite a cheapish moisturiser with Kiehl's being classed as a highend brand at £24 a pop it's £10 cheaper than my trusty Clinique Moisture Surge, however it's slightly more difficult for me to get hold of as I sadly don't have a Kiehl's Counter in any shops near where I live, but I had no fear as thank god for the wonderful website that is John Lewis......I haven't really seen anyone talk about this particular moisturiser or rave about it so I was a lil bit apprehensive as to try it but if I don't try then I will never know, and neither will you guys. It has no fragrance which I was quite pleased about as most moisturisers that have a fragrance or are scented tend to give my skin a horrible reaction and irritate it, this one hasn't irritated my skin in the slightest and has really boosted the hydration in my skin, it claims to continuously replenish skin and says that it will leave your skin feeling smooth, soft & hydrated......All the things I could ever want from a moisturiser, even more so in the winter. Now I'm more than happy to say this moisturiser is most definitely as good as my trusty Clinique if not (and I can't quite believe I'm typing this.....) BETTER!! I use this both first thing in the morning & last thing at night, and boy oh BOY does it make my makeup go on like a dream, If I were to compare this moisturiser to another highend one I would probably say the gorgeous Charlotte Tilbury Magic Cream would fit the bill. It's quite a thickish gel-meets-cream cream. I love how a little goes a long way and that it sinks in nicely, like I said my makeup glides on and it just sits wonderfully on top, it's moisturising, incredibly hydrating and just what the doctor ordered for winter. It takes a bit longer to sink into my skin than my clinique moisture surge but just leaves skin with this really hydrated and natural dewey glow. It's honestly UH-MA-ZING & I really can't recommend this moisturiser highly enough. Even in two weeks alone I can already feel and see the difference in my skin, this wonderfully hydrating cream contains Squalane & water retaining Imperata Cylindrica to protect the skin through harsh weather conditions, I.E. it's the best moisturiser to use in the winter and leaves your skin feeling hydrated 24/7. A little goes such a long way! It's not greasy, heavy or leaves you feeling like you've got slime all over your face, it's honestly beautiful. I personally wouldn't say it's light as it does have the same consistency as Charlotte Tilburys Magic Cream. I can't understand why this has not been raved about by other beauty bloggers it's one heck of an incredible moisturiser. 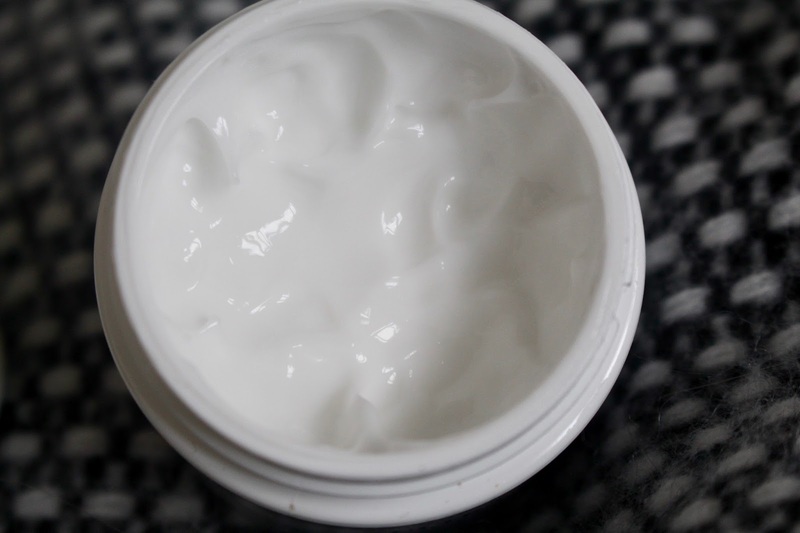 Creamy, hydrating & nourishes skin, what more could you want from a moisturiser? If you try one new moisturiser this winter make sure it's this one! Have you tried the Kiehl's Ultra Facial Cream?